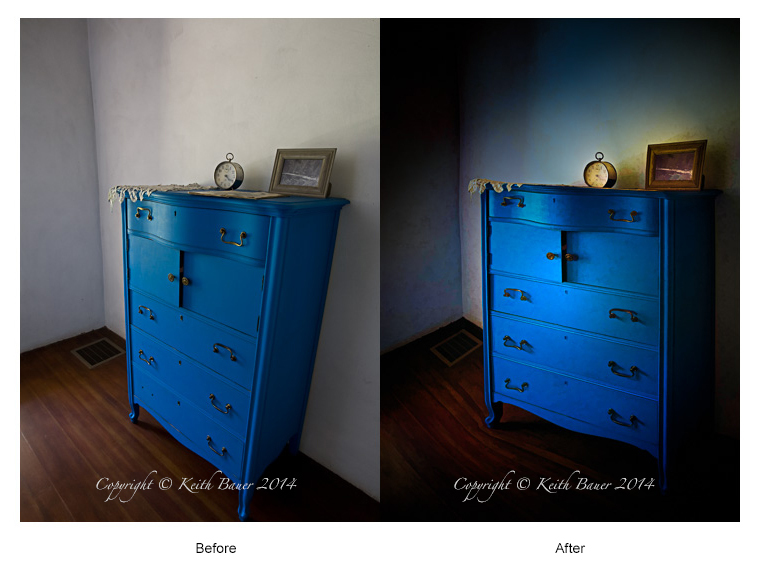 This old dresser was photographed in northern New Mexico. I was drawn to it by the soft window light, but just couldn’t create the image I wanted while I was there. While this image was captured a couple of years ago, I was still drawn to something about it. I decided to give it a chance and worked the image in LightRoom and Photoshop. With powerful tools for changing perspective, creating mood, adding light and textures, I transformed the image into something much closer to what I had in mind. Great fun to work, gratifying to see the result. What do you think? Here are the Before and After versions. Great job on the wall and dresser…that warped floor has me a bit worried!